In K-pop, there’s superstars, and then there’s TVXQ. 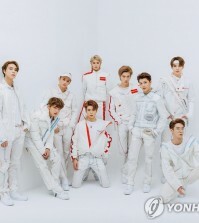 The record-breaking, long-beloved Hallyu kings arrived in Los Angeles last week to perform at this year’s Korea Times Music Festival at the Hollywood Bowl. 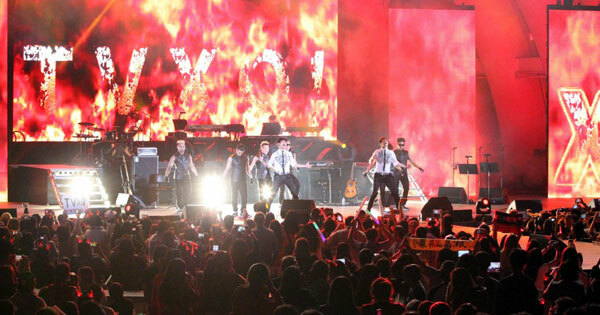 The band burst onto a blossoming, not-yet-global K-pop scene in 2003 and soon became a pillar of the genre’s expansion to the rest of Asia, most prominently Japan. The road here hasn’t always been sunshine and roses — the band famously lost three members in a contract dispute a few years back — but Yunho, 29, and Changmin, 27, now 12-year veterans of an industry that spins faster by the minute, have made it this far. 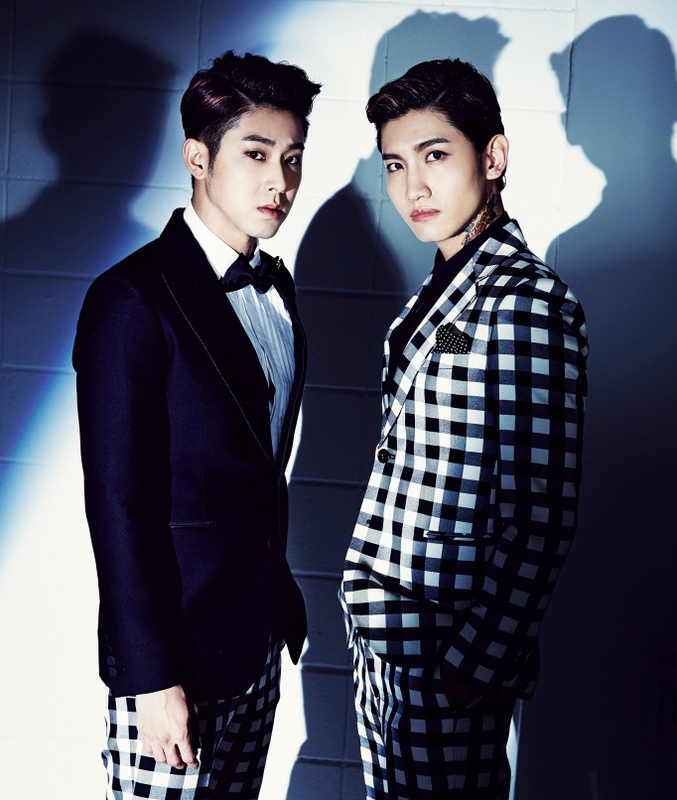 As idols, expectations of the TVXQ brand rise with each single. You would imagine it’s a kind of pressure unknown to most. 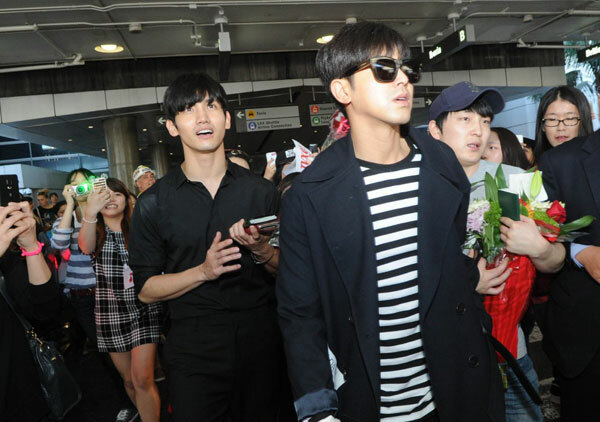 As the pair tells the Korea Times hours before the show, surrounded by busy staff and outfitted in sweats and jeans before stylists descend upon them, dealing with being TVXQ is all in the approach. Pressure translates into gratitude for Changmin. 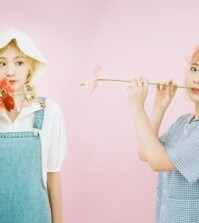 Hundreds of new idols flood the K-pop landscape yearly. TVXQ are idols to those idols. He hears it from them often, that they grew up watching him and the band. It’s inevitable that they did — the mid- to late-2000s brought TVXQ fever to both Korea and Japan, where their records hit top and solidified the band’s place in K-pop history. And what a history it is, from unprecedented success in Japan’s largest concert venues to the most No. 1 singles on the Oricon chart. The band had, as of 2013, earned a whopping $1.2 billion from its record sales in Japan alone, according to Sports Seoul, ranking second not just among Korean artists but in the entire Japanese market. Plus, those moments act as fuel for Changmin, who was only 16 when he was thrust into the spotlight. More than a decade later, he wants to do better, to remain the artist others can look to, admire. Changmin may joke about personal goals of eternal health and long, long longevity (“We do have to live long,” Yunho agrees, nodding), but in some ways, that goal extends to the band. There’s no doubt about influence — when it comes to popular culture outside the U.S. nowadays, South Korea’s got you covered. Thanks in large part to the wee Internet thing called YouTube, online communities and social networking, K-pop’s begun to infiltrate the pores of the world. It’s not just the music. It’s the television, the fashion, the video games, the food. K-pop’s prime missionaries? Idol stars, of course. The question is, why? Why have so many people found such pleasure in K-pop? Tell us an idol’s perspective. The way Yunho sees it, K-pop’s always been around, just without the right tools for wider consumption. Whether it was the quintessential Korean folk song “Arirang” to the addicting tunes of ’70s Korean pop King Cho Yong-pil, it was only a matter of time for Korean music, he says. Crediting TVXQ’s own international success with “Mirotic” (the explosively popular title track of their fourth studio album) to YouTube, Yunho says it’s a shame Internet culture couldn’t have been around earlier. “Foreign artists are incredible, but I think people are drawn to the unique ‘han‘ Koreans have, and the impressionable way through which we express that emotion,” he says, in reference to a Korean expression for the feeling of unsolved injustice, an against-the-odds helpelessness that, unsettled, rests deep within a person. “Younger artists nowadays understand that, too, and know about their influence,” Yunho says. It would be a mistake to fence in the duo as only singers. Both are also fledgling actors. Whatever criticisms may be, for Yunho, forays into acting are about learning life lessons. For Changmin, it’s about learning to love the unpredictable. Yunho’s first drama, “Heading to the Ground,” aired in 2009; he later took on “King Ambition” in 2013 and, most recently, “The Night Watchman’s Journal” in 2014. He’s slated to next appear on an upcoming web drama, “I Order You.” Changmin’s credits include “Paradise Ranch” in 2011 and “Mimi” last year. “Acting’s a lot like performing on stage, except on stage, you have three minutes to express yourself. It’s about short impact there, but acting’s about taking steps with others for a long period of time,” Yunho says. Acting’s also a lot like life. He likes it because each role lets him live a different one. As far as music goes, the duo says there are no limits to what they want to try. Yunho points to last year’s single, “Something,” which introduced a classical element into the band’s repertoire. News of Yunho’s mandatory 21-month military enlistment this year have saddened fans, who will have to say goodbye to the star before 2015 is up, but they needn’t worry — he’ll be back. And being back at the Hollywood Bowl for the first time since 2008? They somehow get better in all respects with each passing year. At the same time, they grow ever more humble and mature. My gratitude is reflected in theirs. That’s why I love them and can’t wait to see them in Seoul next month! Travelling 5,500 miles will definitely be worth it! TVXQ really are artist with sincerity and honesty. They are great artists!!. Now I’m even more sad I didnt get to see them at the Hollywood Bowl, didn’t know he was enlisting. Guys your every single stage makes Cassies so proud, and happy. The military enlisting? No worry. We’ll wait for you and never look at somebody else until you pair come back to us! Thank you for this wonderfully written article! It was a pleasure to read and a testament to the talent, humility, and influence of TVXQ. the reason why i only look at TVXQ its because of this. you guys always show your politeness, chariteness and humble into cassies. keep fighting, nor yunho nor changmin. i love you even since you guys first time aired on my cable’s TV, when i was 8 years, 12 years ago. don’t worry about the enlistmen, i won’t be able to looks forward or another idols if thats related to TVXQ! please believe that nor cassies nor bigeast love you so much guys. please be health, and do the best! we are…..T! I am a Chinese Cassiopeia and currently living in Canada. I went to LA just for TVXQ!, and I met so many fans there coming to LA from all over the world. Their performance was just simply perfect, and everything was just worthwhile because they are the best K-pop group EVER! I will definitely wait for their next concert no matter how far it is. WE ARE T!!!!! JUST, THE GODS OF K-POP, NO MORE! i’ll be here for them <3 always and forever. Thank you for this great interview ^^ Now that they are away doing their military service I feel my love for them gets even stronger! I anticipate their 2017 comeback so much.